Kat Von D recently released some brand new blushes to her Everlasting Face Shaper Blush line, and I have Bellisima* to share with you today! I've never actually tried any products from Kat Von D's line, but I've heard amazing reviews on both her foundation and concealer, so I was excited to try this out. A fade-proof blush with remarkably rich pigment to enhance individual features and the complexion. Be brilliantly flushed from sunrise to far past sunset with this long-wearing blush. The smooth, velvety powder glides onto cheeks and effortlessly blends into the pores to enhance the natural radiance of your skin. The fade-proof formula promises up to 24-hours of color and the rich pigment offers buildable, custom coverage for every skintone. 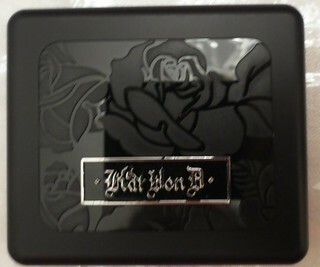 The black packaging is reminiscent of NARS, expect that the Kat Von D line isn't rubberized. The compact has a full sized mirror, and is quite slim, making it perfect for travelling. 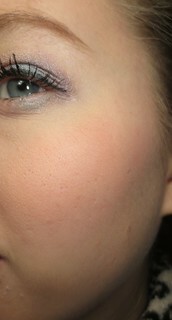 Bellisima is a very pretty peachy pink blush. This shade is very easy to wear, and I think that it would look great on almost every skin tone. 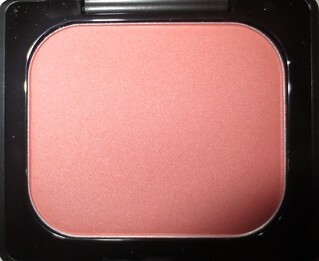 This blush is quite pigmented, so a little goes a long way. I apply this using a light hand, and then build it up from there. This formula is a smooth and creamy, the colour just glides onto my cheeks. 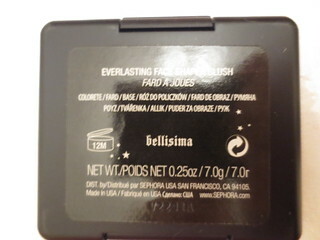 Kat Von D claims that this blush keeps its pigment for a full 24 hours! While I haven't put this claim to the test (I have no need for my make up to last 24 hours), it did last all day on my cheeks (about 12 hours until I removed my make up). Oh wow! This blush is quite pretty! I have heard so much about their concealer and a bit about the eyeshadow palettes, that I haven't even paid attention to the blushes! Will definitely take a second look when I go to Sephora next! This looks so pretty!! I've only tried her shadows.